Love Vat19.com? Prove it! 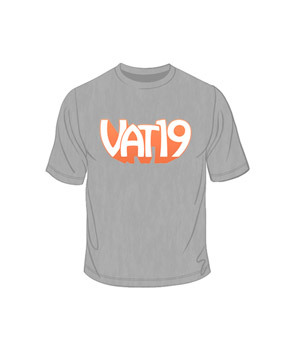 Rock out with the Official Vat19.com T-Shirt. This high quality Hanes T-Shirt features the Vat19 logo on the front and "Curiously Awesome" written across the back shoulders. Shirt is made from 90% cotton and 10% polyester, and is available in youth, small, medium, large, and extra large (for our BIG fans!). Please note: When this video was shot, an earlier version of our logo was used. 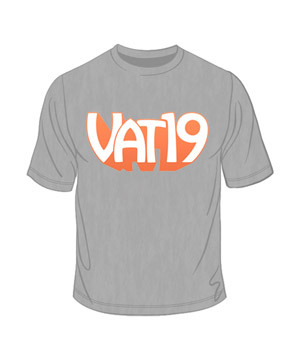 The Vat19 T-Shirt has been updated to reflect our most current logo. 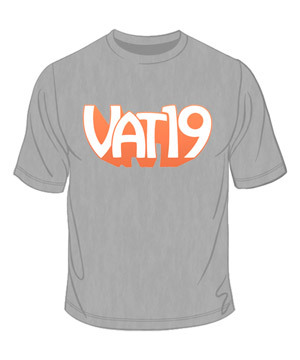 Until we create another Vat19.com T-Shirt, this one (the Official Vat19.com T-Shirt) shall be known to the world as its greatest T-Shirt. 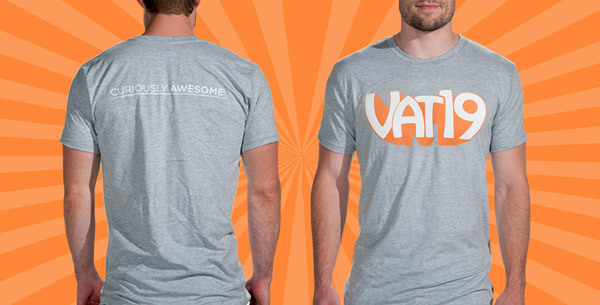 If you love Vat19.com, you'll love this T-Shirt. If you hate Vat19.com, we encourage you to buy one so that you can deface it. Dear ladies, do you want your man to look like this? If so, buy him an Official Vat19.com T-Shirt. 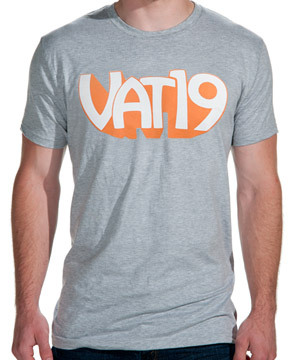 Our Vat19.com T-Shirt features high-quality printing on a soft unisex Hanes tee. It's a 90% cotton / 10% poly blend. 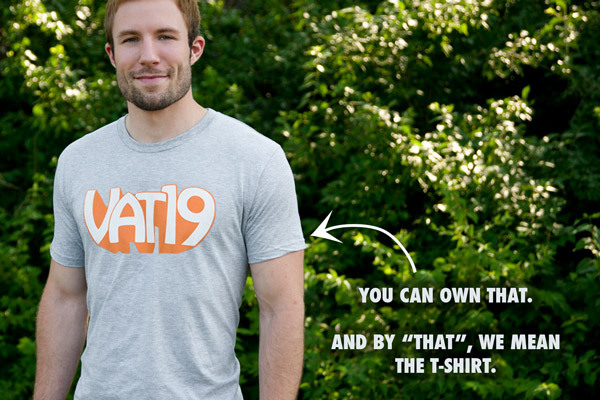 The Official Vat19.com T-Shirt fits both men and women. While we haven't viewed every other t-shirt in the world, we're fairly confident that the Official Vat19.com T-Shirt is the most curiously awesome of them all. 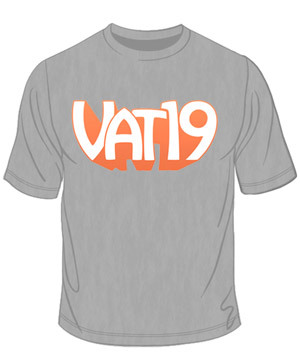 Back and front views of the Official Vat19.com T-Shirt.